Deal Shopping Mama: Target: Deals On Pampers, Similac & Huggies Starting 7/6/14! Target: Deals On Pampers, Similac & Huggies Starting 7/6/14! Here's an awesome Deal over at Target on baby Items! In your Sunday papers tomorrow you are going to have a $20 off a $100 purchase of baby items. You can also use your phone and get this coupon send to you as a mobil coupon. Text INFANT to 827438 for a Mobile coupon. This coupon expires 7/12. This coupon is good for Newborn Apparel, Furniture, Bedding, Nursery, Training Pants, Toiletries, Diapers, Wipes, Travel Gear, Baby Toys, Car Seats, Bath, Food and Formula, Infant and Toddler Feeding. This coupon EXCLUDES Infant and Toddler Apparel and Toy Department. Total: $73.44 after all coupons. 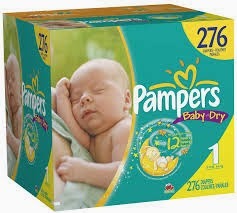 You will also get back 2 $10 Target giftcards from the Pampers diapers making the diapers only $13.36 per box! Similac Deal : Go here for the coupons! Net Total $62.44 or only $15.61 each! **If you have $5 Similac Checks that were sent to you by Similac your total can be as low as $42.44 per tub or $10.61 each! Pay $69.44 after all coupons. You will also get back 2 $10 Target giftcards from the Huggies Diapers making them only $12.36 Per Box!